Harvy Simkovits Among Honored Authors at Cary Memorial Library | Just Lassen to Me! 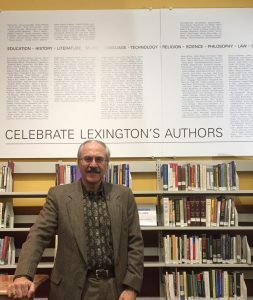 Harvy Simkovits was honored on November 2, among a number of other Lexington authors, at a local author celebration at Cary Memorial Library. 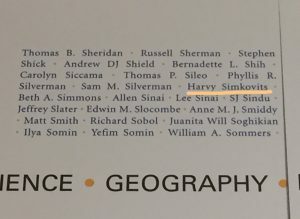 His name will now be up for eternity on a wall within the library. Both Just Lassen to Me! Book One: Survivor Indoctrination and Book Two: Survivor Teachings are now available for loan at Cary.